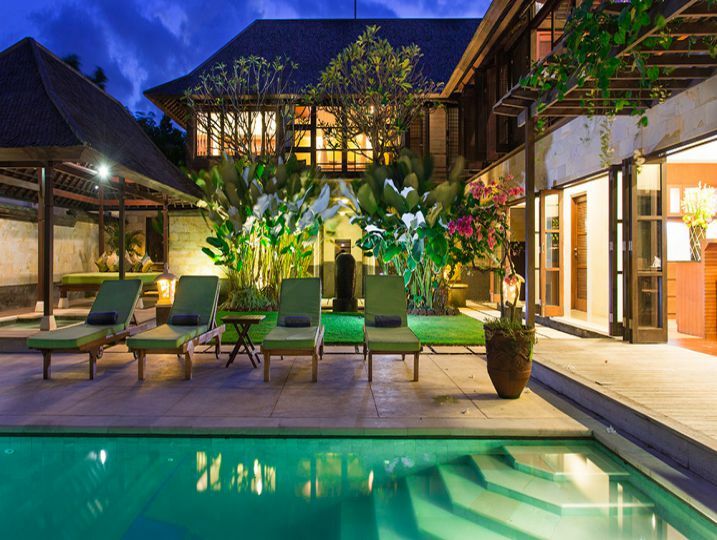 Villa Bayu Gita presents nine luxurious bedrooms across two self-contained villas in the tranquil coastal village of Ketewel on Bali’s south-east coast. 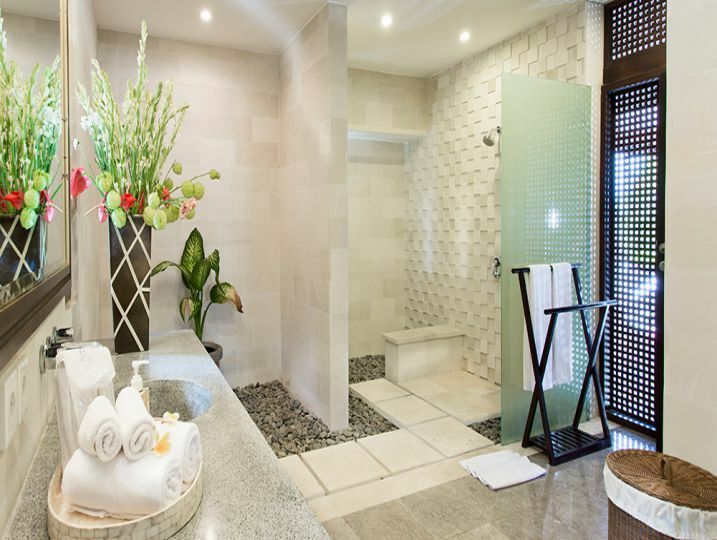 In total, the complex can sleep up to 18 adults, and is exceptionally well equipped, boasting two swimming pools, various jacuzzis and plunge pools, a home cinema with over 500 movies, a high-tech gym, a games room, and multiple living and dining areas. 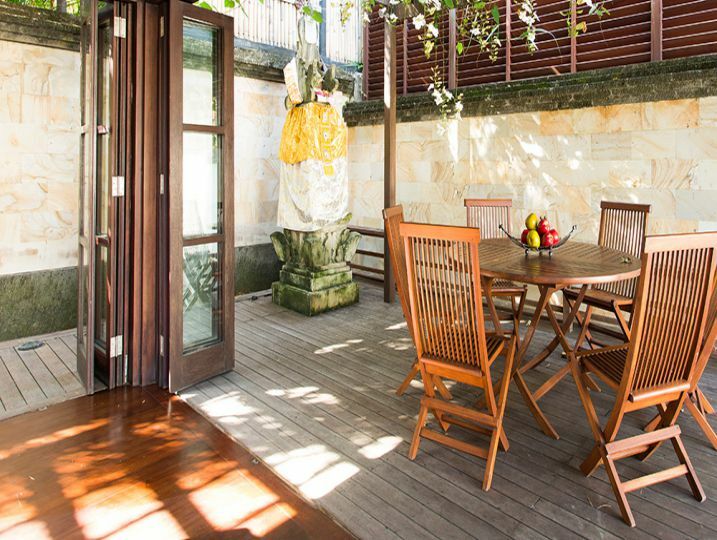 The two villas are located 100 metres apart in their own private gardens, and when booked together suit groups of friends or families travelling with older relatives or independent teens. 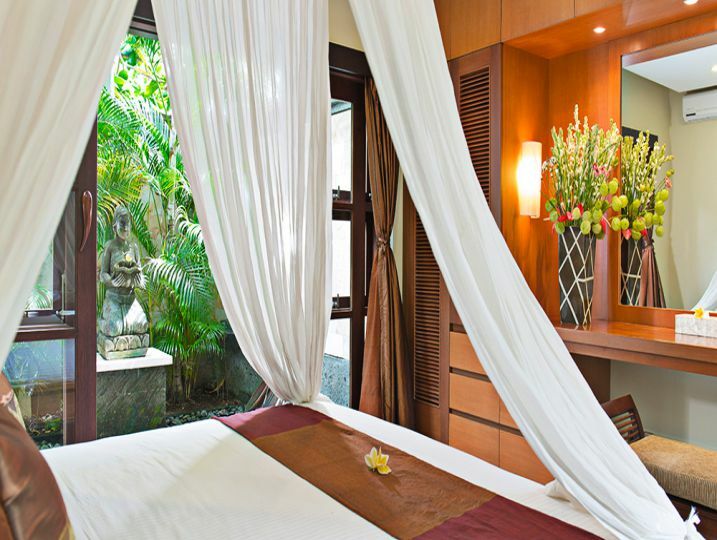 Bayu Gita Beachfront is the larger of the two villas, home to six bedrooms and the bulk of the facilities. 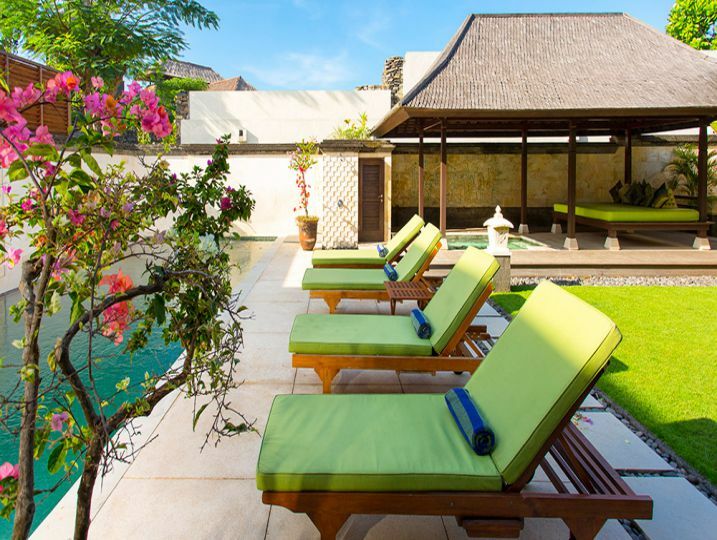 As its name suggests, the villa is set right beside the cerulean sea at Pabean Beach, a world-renowned surfing spot. 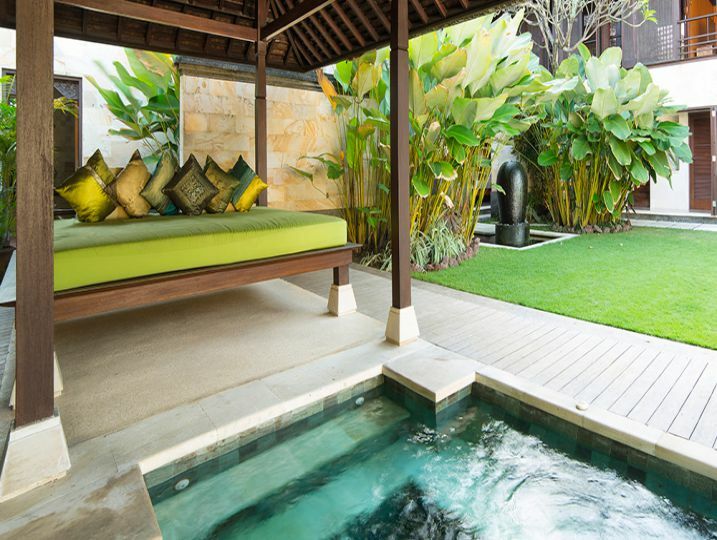 From the infinity swimming pool, views unfold across the Badung Straits to Nusa Lembongan. 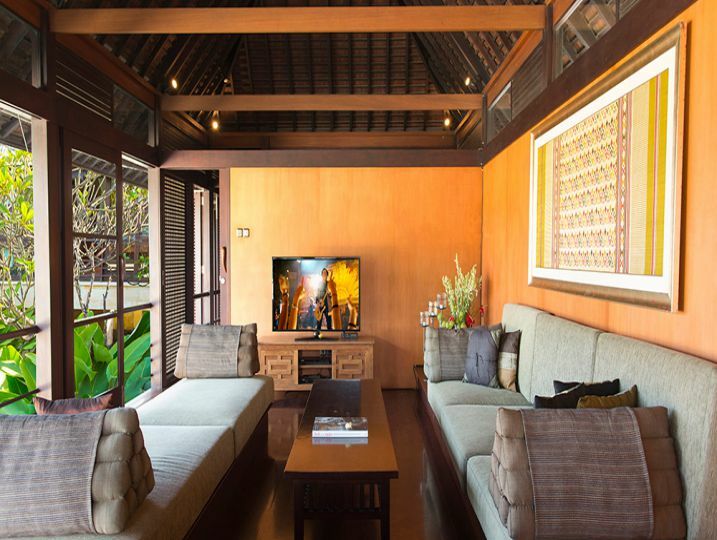 The three-bedroomed Bayu Gita Residence sits slightly back from the beach. 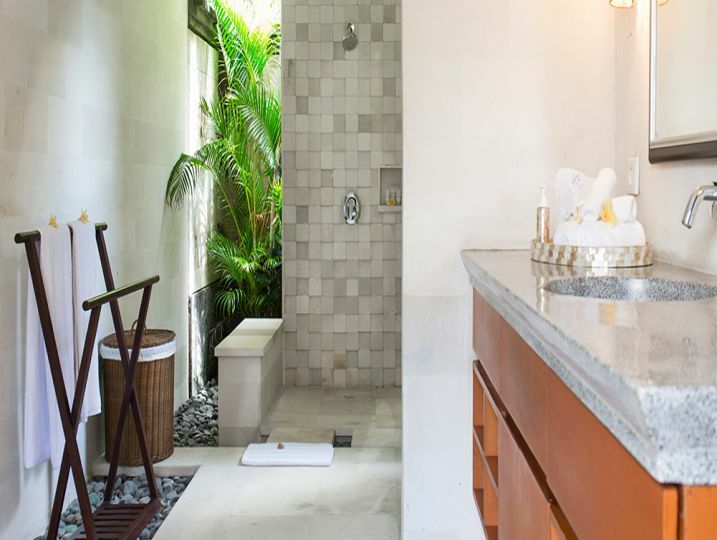 Villa Bayu Gita’s contemporary design has been conceived for modern-day tropical living. 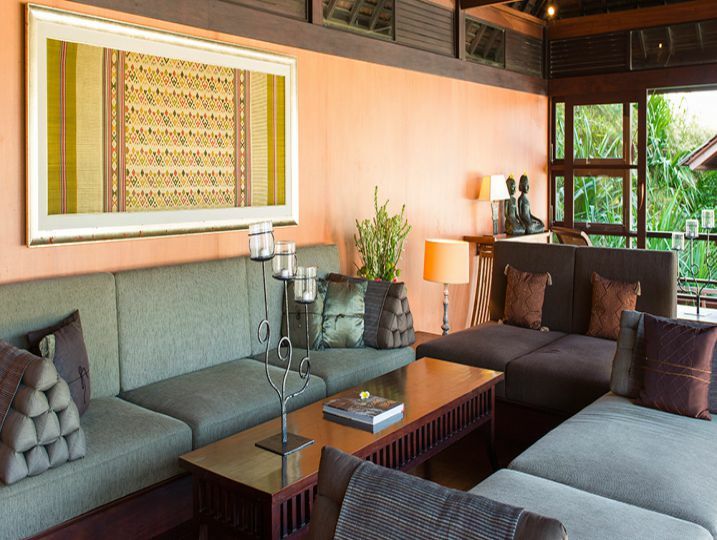 Glass doors ensure space flows seamlessly from inside to outside areas, and the villa’s gorgeous gardens are equipped with balés for outdoor living and paved areas for dining under the stars. 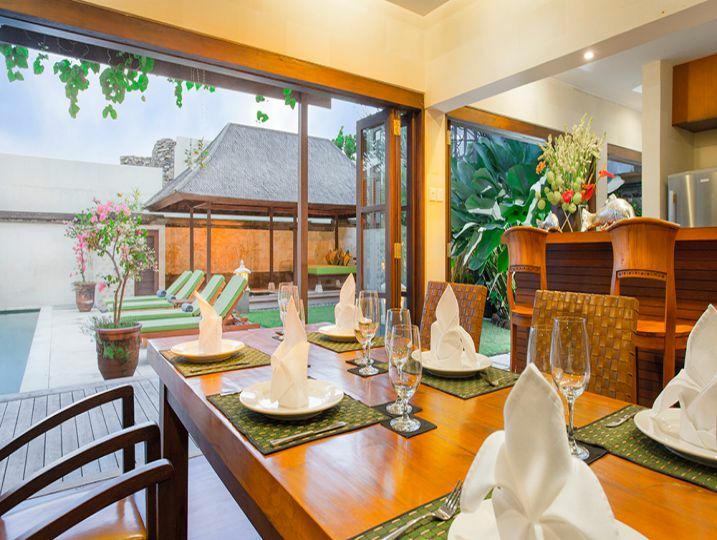 At Villa Bayu Gita you’ll want for nothing thanks to the five-star service of a professional team of highly trained staff including villa manager, butlers and your own private chef. 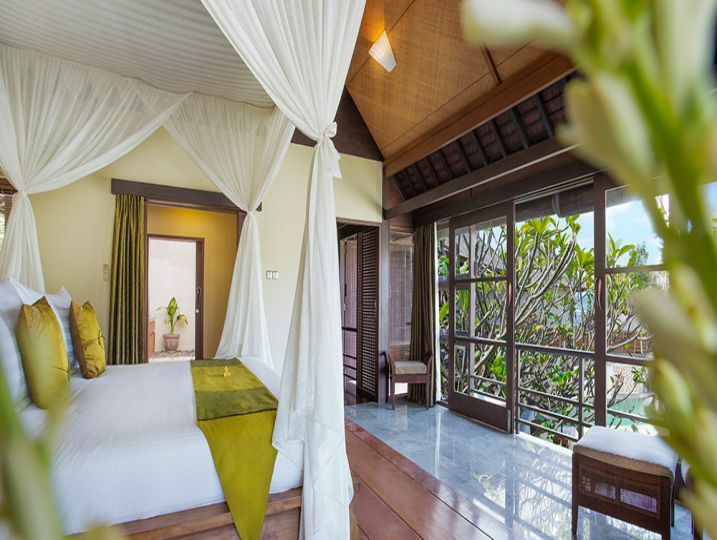 The villa is located in a quaint seaside village where fisherman head out in traditional boats to net their daily catch and kids run along the beachfront. Having such stunning ocean vistas also makes the villa a spectacular location for weddings and events. 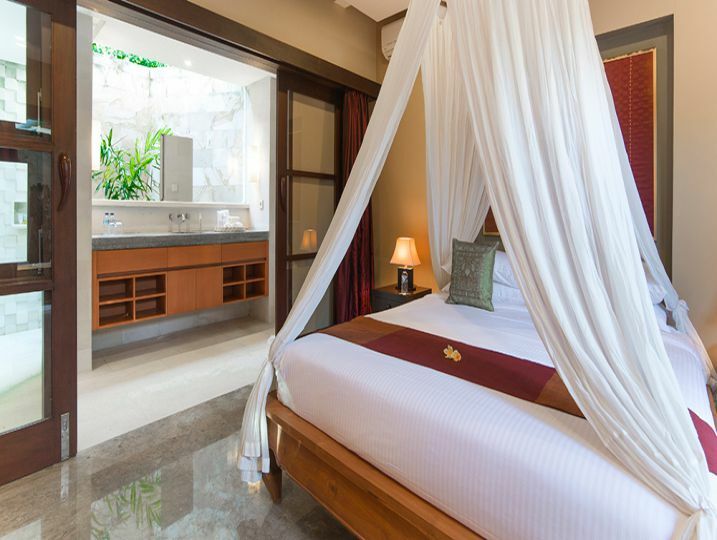 For those wishing to explore, the art and culture of Ubud and the charming, laid-back beachside cafés and restaurants of Sanur are both within an easy drive. 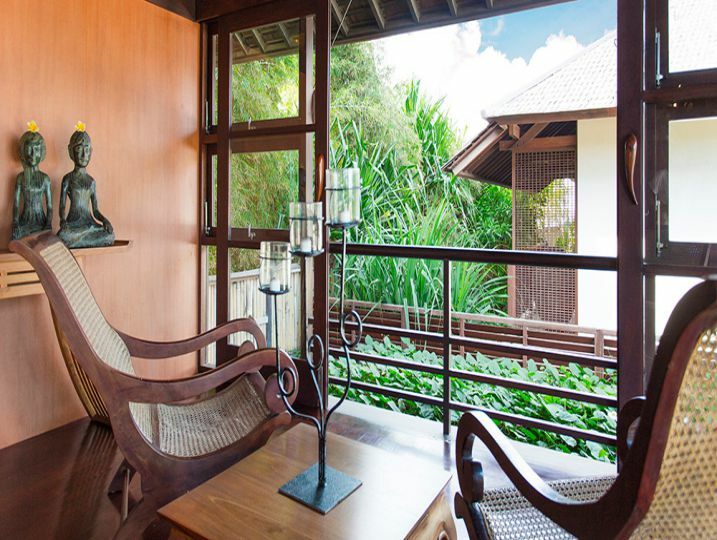 Bayu Gita is available for selected dates.